This is one of the more interesting ways to encase a radio. The look is like a series of book, gold leaf, leather bound. 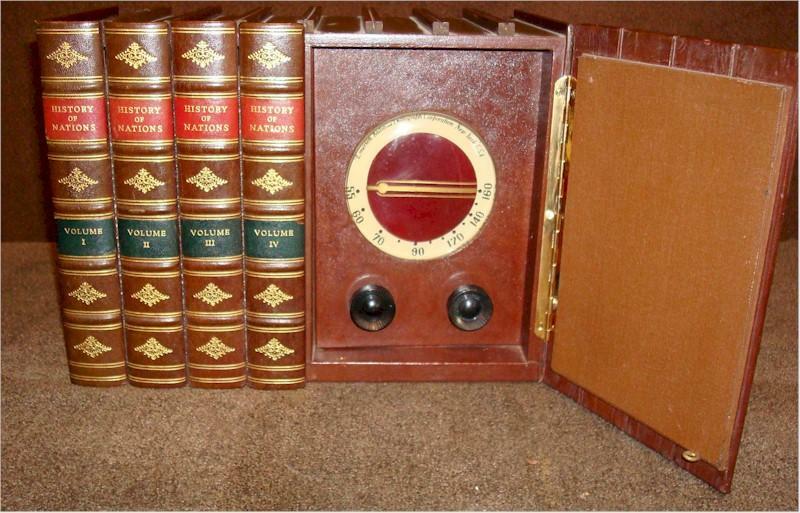 Inside is a high quality six tube radio. Ideal for that more difficult area, bringing a radio into a room, without looking like one! The set is in "like new" condition. Conveniently sized for a den or library; designed to be placed in a bookcase, the speaker vents through the front of the radio. Well restored, this gem is a great player! 11"W x 8-1/2"H x 7-1/2"D.
You are visitor number 3,270 to this page.